There are better starters than me, but I’m a strong finisher. – Usain Bolt. Of course, well begun is half done. But only half! And that too may not be the case with many. Most of the aspirants get into the exam mood only in the last 30 days before UPSC prelims. 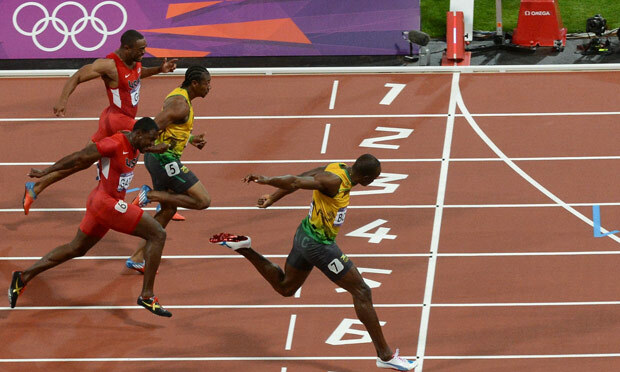 If they have right strategies, the efforts in the final lap would be enough to edge past the competition. On the contrary, those early starters, who go into the over-relaxed mood may not sail through. It’s equally important not to panic at the last minute, as that will affect your productivity. The last-30 days can be a game changer. In this post, we discuss the tips and strategies to boost your UPSC Civil Services Preliminary Exam score in the final 30 days before the exam. What should be done to avoid panic at exam hall? Do rehearsal of the same. And the best source of actual exam rehearsal is previous year UPSC questions. But to get best results, you should take previous year UPSC questions in a timed environment with negative marking. This is available in ClearIAS online mock test platform. You can re-take previous year questions papers from 2011 and analyse your performance based on the official UPSC key. Extra tip: Always learn the solutions should be based on official UPSC answer key; otherwise you will by-heart lot many errors present in other keys. Our advice would be to take as many quality mock tests as possible. Having said that, don’t go the extreme end and run behind all. Your time is limited. Invest only in right resources. Once you familiar with previous year UPSC question papers, you would be able to judge UPSC standards. Enroll for a mock test series which is close to UPSC standards. ClearIAS mock tests are rated high by many UPSC toppers, and we strongly recommend you to take and revise all the mock tests uploaded (solutions are available in each user account). We have tried our best to resemble UPSC standards. A few questions may be above-UPSC standards, but this is purposeful. On the exam day, it may be the right answers to 1-2 tough questions that would help you cross the prelims barrier! Don’t bother much about the marks, but analyse your relative performance in our pan-India platform (more than 1,00,000 registrations already!). 3. Get some more books; yes really! There is still time to invest in books. If you feel lacking in any area (Eg: Culture or Economics), buy/borrow the recommended books for the same. You don’t need to compromise on anything. The value of your one year is much more than the price of 1-2 books. Go for the actual exam in full confidence without any feeling of under-preparation. Also, all the books will be useful for the UPSC main exam as well. NB: As we have repeated many times before, we feel there is no need to explicitly mention the importance of NCERT books again. Revise NCERTs as many times as you can. Now, to finish important questions from NCERTs faster, you can take NCERT-based subject-specific exams on ClearIAS Mock Exam Platform as well. Many questions will come directly/indirectly from NCERTs. And if you have time constraints to revise the government sources like PIB, India Year Book, Yojana, Kurukshetra, Budget, Economic Survey etc, at-least make sure that you take our latest current affairs test, which will cover the most important topics. In the last month, it’s always advisable not to learn from too many new sources (unless you are totally stuck/feel under-prepared with the present source). If you have read Indian Polity by Laxmikanth once, then in the last month, it’s better not to start reading Indian Polity by D.D. Basu. Just stick to the same source and revise the same. Make quick to read notes, about confusing points. This would be useful in the last 2-3 days before Prelims. 5. Stop material collection, sit and learn! In the online age, there is no shortage of materials – online and offline. Each of your hard-drive may have hundreds of GigaBytes of study materials (which you may not refer at all!). A lot many will be there in Google Drive or Telegram. Materials will keep on coming. Learn to limit the sources to a quality-few. Otherwise you may feel over-burdened. Also, the notion that there are too much to finish may not let you sleep peacefully. ClearIAS don’t believe in over-supplying materials. We believe in quality and not quantity. Once aspirants know the right path, they can easily pick up. We have already shared the link to free download all-important notes prepared by ClearIAS Team. We have no claims that that’s complete or enough, but if you find any concepts difficult to understand from traditional textbooks, refer our notes regarding the same. You may find it easy and quick to learn. Give it a try, it’s free! PS: We have a good news to share 🙂 ClearIAS has now crossed 4,50,000 plus followers on Facebook. Thanks a lot for your continuous support. ClearIAS app can help you save time in travel. All the materials available in clearias.com can be accessed from ClearIAS app including our mock tests. Make sure you study for at least 8 hours in the next 30 days and ensure that you get 7-8 hour sleep until IAS Prelims. Have strong self-belief. 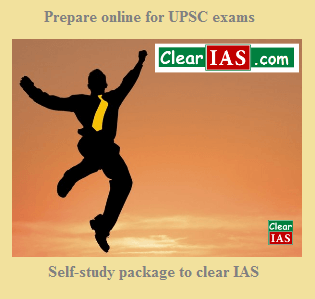 Believe that you can clear IAS Prelims with whatever time left. Time wasted over wasted time is again wasted-time! Remember what the fastest runner on earth has said. All the best! Be the face of ClearIAS next year! As you have already known the importance of NCERT books, therefore, my suggestion is buy the books up to 12 th standard along with reading the Hindu. This forum of convince and care for the cse aspirants is of great value and importance which is moral boosting and productive also.So the most probable facts, curraint affairs and schemes,plans related to government and economical headlines should be published here, thanks a lot.